Scientists get funded for their ideas through a marathon grant-writing process, scores of collaborators, weeks of information gathering and a final product that often tops 250 pages. Melissa Skala’s experience was different: Two people, 250 words, in 24 hours. 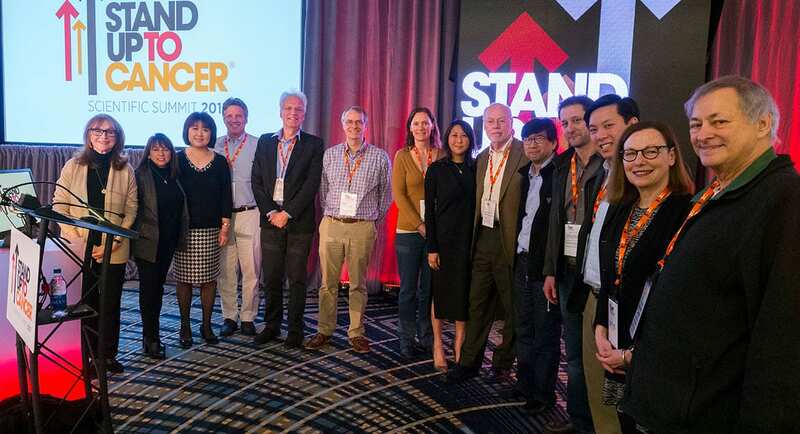 Skala, a Morgridge Institute for Research investigator in medical engineering, won a highly competitive award from the nonprofit organization Stand Up to Cancer at its annual 2017 summit January in Santa Monica. Skala’s project was one of four selected through the Phillip A. Sharp Innovation in Collaboration Award. A professor of biomedical engineering and Carbone Cancer Center researcher at the University of Wisconsin-Madison, Skala teamed with Massachusetts Institute of Technology biologist Matthew Vander Heiden for a winning proposal aimed at undermining the metabolism of cancer cells. The rules of the Sharp Awards are compelling. The 100-plus invited attendees — some of the top cancer scientists in the world — are asked to partner with another attendee on a novel collaboration that takes cancer research in a new direction. After a 250-word proposal, the teams hear in 24 hours whether they won one of the four $250,000 awards. Skala says she had met Vander Heiden once before at a national meeting. 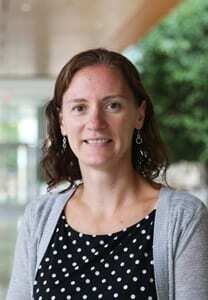 Both recognized potential for collaboration — Vander Heiden in cancer metabolism, and Skala in cancer imaging — and had politely suggested “maybe we’ll work together some time,” she says. The goal will be to create molecular changes in cell metabolism that shuts down the tumor’s ability to scavenge nutrients. This could lead to a new type of metabolic cancer therapy that could be used alone or to prime the tumor to be more receptive to chemotherapy. “We can try to starve the tumor before hitting it with chemotherapies, so it doesn’t have a way to circumvent those therapies in its weakened state,” she says. Vander Heiden already has data to support this hypothesis. Skala will provide a novel optical imaging technique that can look at cells that have been engineered to change their metabolism, and whether those changes undermine tumor growth. The SU2C award is a cancer research variation on the proverbial million-dollar idea scrawled on a cocktail napkin: A burst of inspiration, captured in the moment, with whatever means available. It’s part of SU2C’s core philosophy that cross-pollinating different ideas, and making science move swiftly, will generate the next cures. The award’s namesake, Phillip A. Sharp, is chairman of SU2C’s Scientific Advisory Committee and holder of a Nobel Prize for his research in genetics. The 2017 winners were chosen from 18 submissions. Dr. Paul Sondel, professor of pediatric oncology at the School of Medicine and Public Health, is also a UW-Madison affiliate with Stand Up to Cancer. Since 2013, Sondel has served on the organization’s “Pediatric Cancer Dream Team,” and throughout his career has made major contributions to immunotherapy-based cancer treatment.